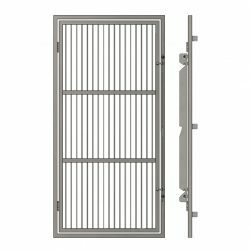 Our kennel run doors are manufactured to meet the specific needs of your practice. Tubular stainless steel door jamb and frame with a full-height grill has uniform, non-glare finish. May be installed to latch right or left. Doors measure 72-in. (182.88cm) high. All the welds are polished for an easier cleaning of the door. The locking system with its double attachment is very secure and solid. 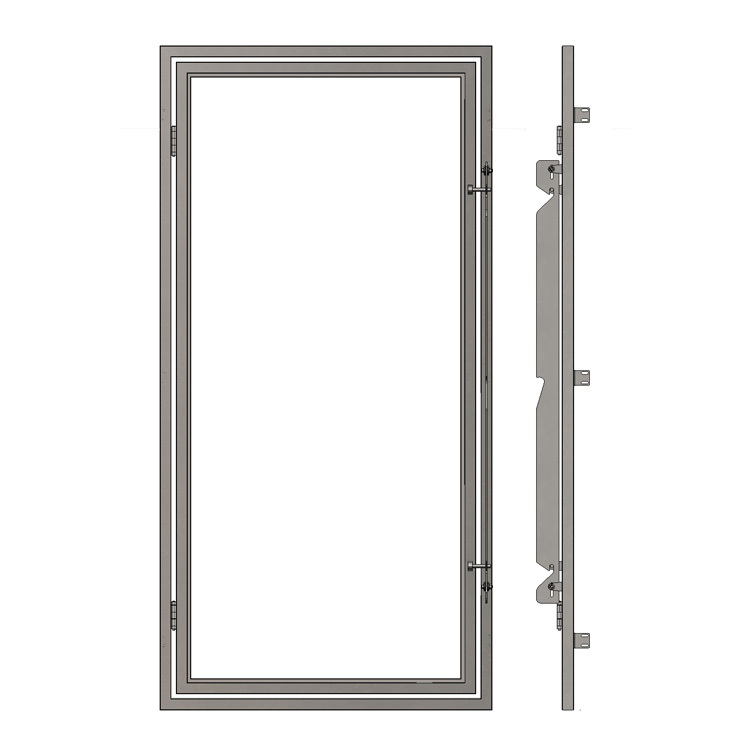 Custom door sizes from 71 x 182 cm to 91 x 182 cm (28″ x 72″ – 36″ x 72″). Our clear ¼” tempered glass kennel doors offer a bright, open look without sacrificing durability. The glass reduces noise while allowing you to keep an eye on Toby in his kennel at any moment.